All Good Work is a nonprofit foundation that connects "social impact organizations" (mostly nonprofits) to donated workspaces. The foundation has officially expanded to Silicon Valley and already has a network of 15 flexible workspace hosts. Veggielution is one of the first San Jose organizations that will benefit from their generosity. 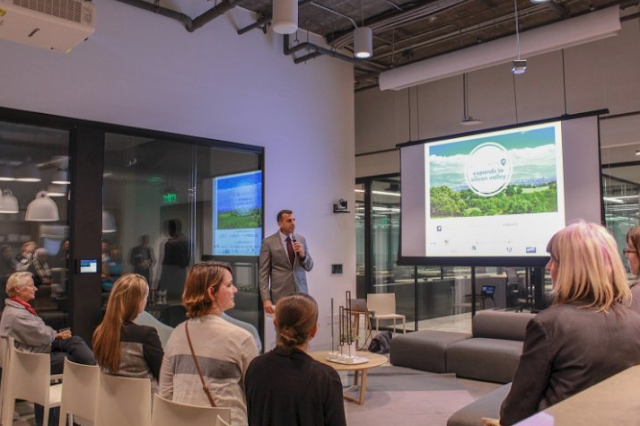 The official launch of their Silicon Valley program took place a week ago at Common Grounds and featured a speech from San Jose Mayor, Sam Liccardo. For more info on the launch and the organization, head over here and here.